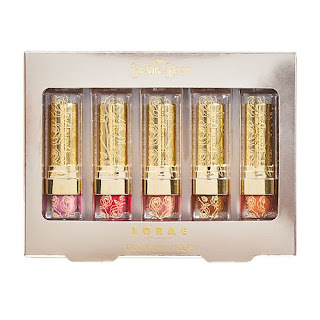 LORAC Cosmetics came out with a beautiful collection to go with Disney's "Beauty and the Beast" film. The collection contains an eyeshadow palette, a cheek palette a lipstick collection and a lip gloss collection. Read my review below. This palette was inspired by Belle's strength and undeniable beauty. 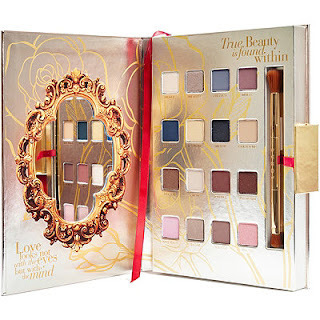 They created the LORAC Limited-Edition Eyeshadow Palette to take you on a magical journey of wonder and romance. Whether you’re well acquainted with their legendary PRO palettes or seeing them for the first time, you’ll be enchanted with these 16 all-new and exclusive shades of their best-in-class PRO formula. The velvety-smooth shadows are hyper pigmented to perform wet or dry so you can shade, shadow, line, and define your eyes like a pro. The palette is meant to look like a book, so it has a bookmark that flows down within, which merely a piece of ribbon and it has a magnetic closure to keep the palette closed. The eyeshadows are very pigmented and last forever, even without eyeshadow base. I really like how they wear and the colors all go together very well. Any one of these colors could be used with any one of the other colors to create a beautiful tableau. This palette draws on hues of the iconic flower, this rose-inspired palette includes four new and exclusive shades of their Color Source Buildable Blushes and Light Source Illuminating Highlighters. The silky-smooth matte and satin blushes and highlighters are paraben free and infused with anti-aging antioxidants such as Pomegranate, Acai, and Vitamins A, C, and E. These complexion-enhancing formulas can be dusted on lightly for a soft, natural look or layered for dramatic results. 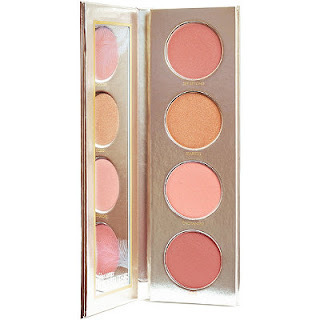 The blushes have a lot of pigment to them and the highlighter looks great over the blushes. It makes a very pretty look on the cheeks. What’s a princess-worthy look without the lip color to finish it? 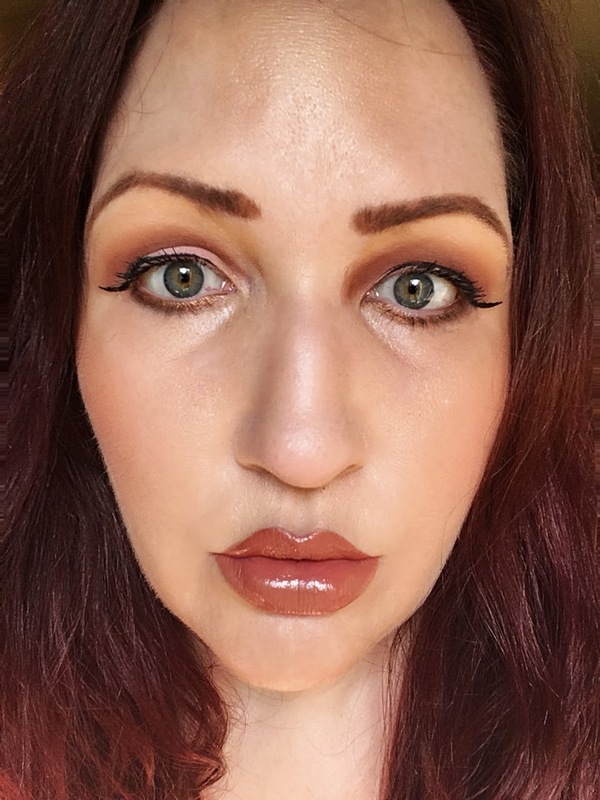 This set of 5 brand new shades of LORAC's lush, moderate-coverage MOD Cream lipstick turns all eyes to the pout and sets the heroine up for a beauty look strong enough to steady a beast. The lipsticks are very pigmented and wear for a long time. I love them. My favorite is True Beauty. It is beautiful. 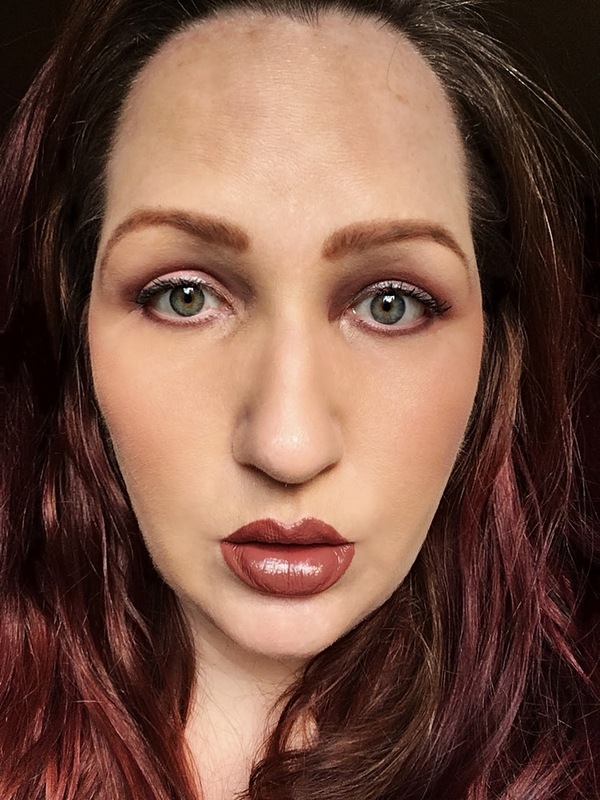 What’s a princess-worthy look without the lip color to finish it? 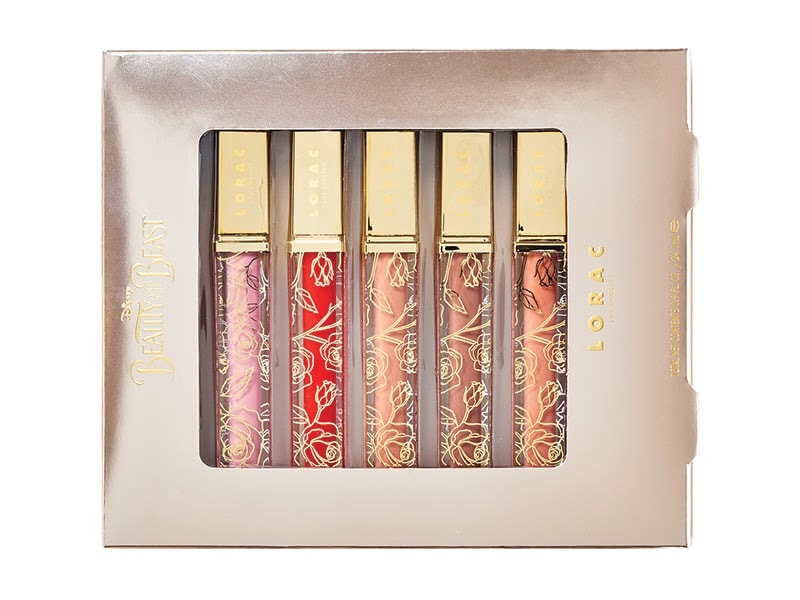 LORAC has this set of five brand new lip gloss shades inspired by Disney's remake of the storybook romance, Beauty and the Beast. The colors are very similar to the lipsticks, so if you are in the mood for gloss or lipstick you can decide on which you would like. 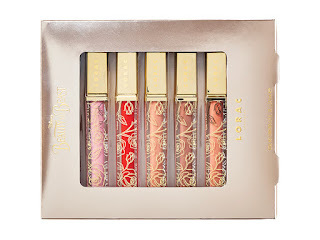 The glosses are highly pigmented and look great on. They wear well and look nice on you can wear them over the lipsticks for more versatility. Here are some photos of the lipgloss and lipstick swatches so you can see for yourself how alike they are and how they differ just slightly. 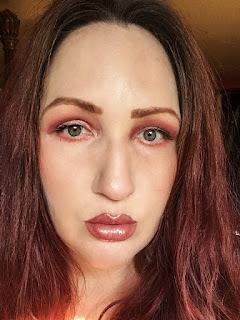 Then I will post pictures of me wearing the palette, cheek colors and lipstick colors. above: True Beauty, Red Rose, Belle-ieve, Tres Chic and Savoir Faire. 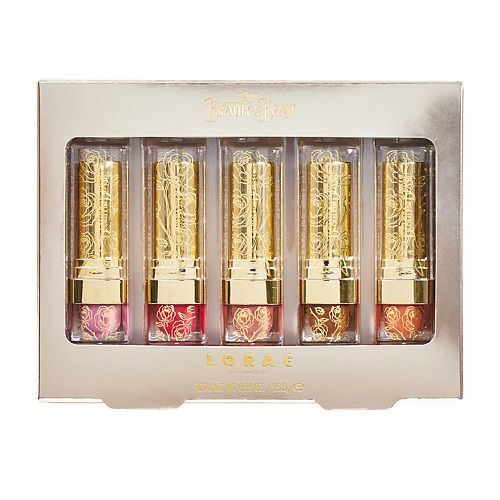 All of the Beauty and the Beast items are available at www.loraccosmetics.com, www.ulta.com and www.kohls.com. They are also available in Ulta and Kohl's stores. Like LORAC on Facebook: https://www.facebook.com/LORACcosmetics; Follow LORAC on Twitter: @LORAC_Cosmetics; Subscribe to LORAC on YouTube: https://www.youtube.com/user/LORACCosmetics; Follow LORAC on Instagram: https://instagram.com/loraccosmetics/; Follow LORAC on Pinterest: https://www.pinterest.com/loraccosmetics/ and Follow LORAC on Tumblr: http://carolshaw.la/.